For the first time, in a long time, we don’t have any plans this weekend… and it feels nice. Not to say that we haven’t been having some really fantastic weekends lately with some really fantastic people, but I’ll admit that a schedule-free weekend is just what we all need. Also, did I hear that it’s suppose to rain? Don’t get my hopes up! This vest caught my eye, even though it was 80 degrees outside at the time. And, it caught a lot of your eyes, too! I still have discount coupons, if you’d like one. They work on anything full-price at OnlineShoes.com. Please email me (bellingFAM@gmail.com) and I’ll send one over. Anyone have kiddos at summer camp right now? Dr. Grow, one of our favorites from Seattle Children’s Hospital, shared some tips on how to prepare your child for summer camp. I’m tucking these away for Janie’s first camp! And then, it was really hot out. We beat the heat with a mini-staycation in Bellingham at a local hotel. With a pool. And an in-room movie. It was glorious. I can’t tell you how grateful I am that Bellingham School District provides school supplies. After this experience as a kindergarten mom in Seattle, nearly four years ago now, you’ll see why. It’s ruined my love of school supplies forever. And, the highlight of my week… my second box from Stitch Fix arrived and I loved what they sent me. Today, I’m taking the girls to the American Girl Doll store to see the premiere of the new Isabelle movie. Needless to say, they’re excited. We’ll have a full review on Monday. Prepare yourself. We’ll also have a giveaway for my absolutely favorite new local brand. Back to the House on Fremont Street posts! I know I’ve been slacking on updating house stuff and I’m feeling guilty. And, of course, we have to talk shoes. I have fall booties on the mind, since I’m the only person in the world that doesn’t have a pair yet. 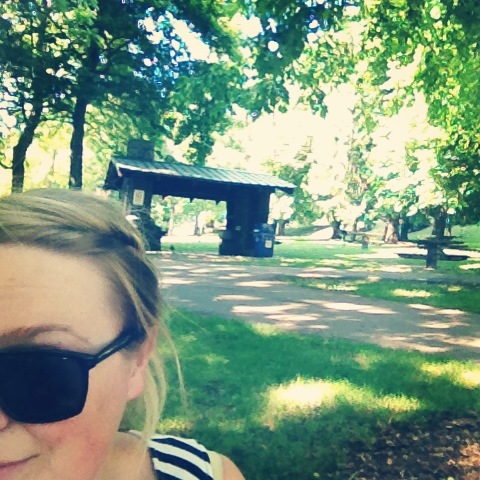 This entry was posted in Life and tagged 2014, Week in Review, Weekend Plans on July 18, 2014 by Katie Kavulla.